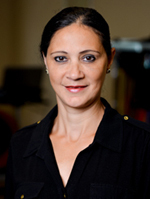 Milena is a licensed Physical Therapy Assistant. Born in Costa Rica and moved to Florida in 2001. She graduated with high honors from the PTA program at Daytona State College where she was Student of the Year in 2012. She also works as an Adjunct Professor in the lab at Daytona State College in the PTA program. Milena speaks fluent Spanish.